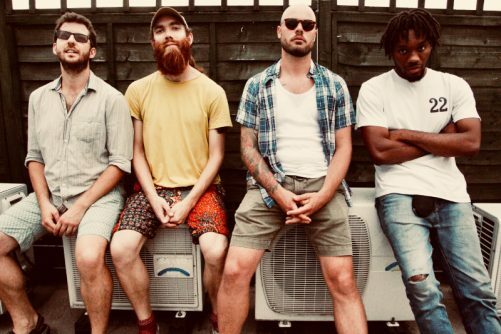 Tenderlonious-led jazz quartet Ruby Rushton and their 22a imprint have been at the forefront of the UK jazz scene since the release of their debut album ‘Two For Joy’ back in 2015. They followed that up in 2017, with two albums – ‘Trudi’s Songbook: Volume One’ & ‘Trudi’s Songbook: Volume Two.’ Both albums were met with mass acclaim, receiving award nominations and regular airtime from Gilles Peterson, Jazz FM, BBC Radio 6 Music and many more. 2019 sees the band continuing to push boundaries, and lead the way with their new genre-defying album ‘Ironside’. The music is rooted in the spiritual concepts of jazz heroes such as John Coltrane and Yusef Lateef, whilst adopting influences from hip-hop, afrobeat and the UK underground culture. Expect high energy, freeform, contemporary jazz with nods to the Headhunters and Weather Report heyday.